Authored by fvogt on Mar 17 2019, 11:24 AM. 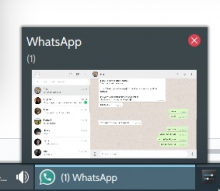 if type was set. Set id and style properly to restore the working behaviour. and it looks fine again. Another option I believe is to keep the <style> tag but add the id="current-color-scheme" type="text/css" attributes. I assume the only difference is plasma replaces the contents of the existing style tag instead of creating a new one, though I'm not sure where the code inserts it. Keep the style element, but assign id and type. Fix tooltip.svgz as well. I believe that src/desktoptheme/breeze/translucent/widgets/tooltip.svgz must be corrected too. It has an <style> node without a type attribute and with a wrong id value. There's a special case in ./src/desktoptheme/breeze/icons/audio.svgz and .../battery.svgz: It has color scheme definitions both in a <style id="current-color-scheme" type="text/css"> and a <style type="text/css" id="style5"> element. It shouldn't have an impact on this bug in particular, but it does still look wrong. Is anyone able to review this? If there's no review in 24h I'll merge it as it affects users severely and the fix is trivial. Does this patch cover tooltips as shown in https://i.imgur.com/WrISfNg.png ? I agree - as this touches binary files, applying a patch wouldn't work (unless using git apply). I just gave this diff a try again and could not find any place with broken SVG colors anymore. 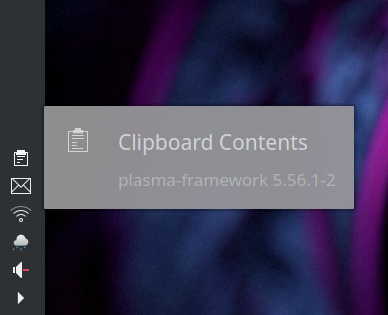 This wasn't supposed to land in Plasma 5.15 as well as master? Plasma Framework is (in this case unfortunately) a Framework, so no stable branches.